WILLEMSTAD – The 4th annual Curaçao Airport Partners Aviation Security Conference (AVSEC Conference) takes place on May 18, with presentations that focus mainly on the threat of terrorism in aviation and the impact that can result from terrorist attacks, such as the economic impact. This year CAP invited; Leticia Monteagudo, former executive at IATA (International Air Transport Association) and executive director of Smart Security Airport Consulting; Anthony Frederick, Manager AVSEC-FAL / HSSE unit at the Trinidad &Tobago Civil Aviation Authority and former senior official in the aviation security branch at ICAO (International Civil Aviation Organization); Lesley Fer, Director of the directorate for Risk Management & Disaster Management for the Ministry of General Affairs of the Curaçao government; and speaker on behalf of Curaçao Airport Partners is CAP Chief Executive Officer Ralph Blanchard. The AVSEC Conference is an informative platform for airport security supervisors, coordinators, civil aviation inspectors in the Dutch Caribbean, and partners in the aviation, tourism and economic industry, during which presentations are offered on critical safety topics and international measures. CAP’s ultimate aim in this is to enhance and exchange knowledge on the implementation of security measures in order to protect and safeguard civil aviation against acts of unlawful interference perpetrated on the ground or in flight. This will be CAP’s 4th time organizing the annual AVSEC Conference. One way CAP works on attracting aviation security representatives to the conference is by selecting interesting speakers on currently critical topics. Last year CAP invited former FBI Deputy Director Mr. John Pistole who elaborated on ‘Counter -terrorism’, Mr. Ted Martin, Senior Aviation Security Inspector, who elaborated on ‘Insider threat’, and CAP AVSEC Manager Mr. Martin Kattestaart who focused on the developments in automation in airport safety. For the 4th annual AVSEC Conference, Curaçao Airport Partners is honored to yet again offer a range of presentations by skilled and respected international and local experts. This year participants will learn from and interact with Executive Director Leticia Monteagudo of the US-based Smart Security Airport Consulting; Anthony Frederick, Manager Aviation Security and Facilitation and department and Health Safety Security and Environment at the TTCAA; Lesley Fer, Director of the directorate for Risk Management & Disaster Management for the Ministry of General Affairs of the Curaçao government; and CEO of Curaçao Airport Partners Ralph Blanchard. Leticia Monteagudo is the Executive Director of Smart Security Airport Consulting and a former Executive of the IATA (International Air Transport Association), with twenty-five years of Aviation background and expertise, holding a Bachelor of Science Degree in Public Administration and among others certifications from the Harvard Business Mentor Program. Mrs. Monteagudo has interacted with over 400 airports; facilitated over 180 global campaigns; conducted risk assessment and passenger facilitation projects, case studies, and assessments in 22 countries and in 60 international airports. Leticia supports airports in positioning and developing appropriate security risk assessments aimed at improving passenger throughput at check-points, optimizes flow through the terminal landside and contributes towards an improved passenger journey to airside. At a broader scale of contributions and engagement, Leticia is part of an extensive network of industry professionals and commonly engages with governments, regulatory authorities, law enforcement, TSA, third party screening authorities, ICAO, AVSEC and other international organizations in efforts to synchronize and implement a safe risk-based passenger security process that will enhance not only security, but also passenger facilitation at airports. Mrs. Monteagudo became the regional ambassador for IATA’s Security Access and Egress Program that later evolved to Smart Security initiatives. Anthony M. Frederick is the Manager of the Aviation Security and Facilitation (AVSEC-FAL) Department and the Health Safety Security and Environment (HSSE) Unit at the TTCAA. He is a renowned aviation security specialist with over twenty-five (25) years’ experience. Prior to joining the TTCAA, Anthony worked at various levels within the airline industry in the security field. Anthony was also assigned for three (3) years as a Senior Official /Consultant in the Aviation Security Branch at the International Civil Aviation Organization (ICAO) Head Quarters, Montreal, Canada. He worked on the eight edition of the ICAO Security Manual Doc 8973, and updated a number of the Aviation Security Training Courses, including the ICAO AVSEC Professional Management Course. He is a certified ICAO Aviation Security Instructor and Security Auditor under the ICAO Universal Security Audit Programme having conducted a number of training and audit missions for ICAO. 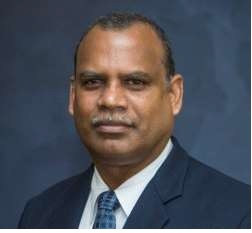 He is also Chairman of the Caribbean Aviation Safety and Security Oversight System (CASSOS) AVSEC-FAL Committee and a member of the ICAO/LACAC AVSECFAL Regional Group. Since 2014 Lesley Fer has held the position of Director of the directorate for Risk Management & Disaster Management. Mr. Fer is responsible for preparing for crisis and disaster management on behalf of the Minister of General Affairs. 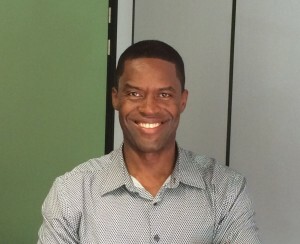 In addition he is the official National Crisis coordinator and he occupies the position of President of the Curaçao Disaster Management Organization that consists of 9 Emergency Support Functions and other NGOs and Private Organizations. 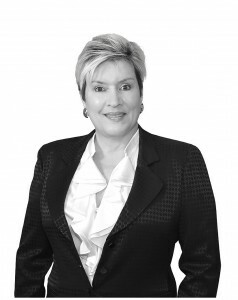 Lesley Fer is also responsible for the formalizing of laws and regulations on the field of Risk Management and Disasters, submitting the ‘Landsverordening Rampenbestrijding’, the ‘Disaster Plan’ for the country Curaçao, and the ‘Landsbesluit directie Risicomanagement & Disaster Management’. 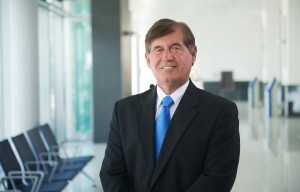 CEO of Curaçao Airport Partners, Mr. Ralph Blanchard has 35 years of executive management experience in Airport, Airline, ATC and Air Transportation infrastructure management and Tourism Development Initiatives in the United States of America, Saudi Arabia and the Caribbean. Mr. Blanchard is originally from St. Thomas US Virgin Islands. He has a Bachelor of Science degree in Aviation Management Science and a Master of Business Administration degree, both from the Embry Riddle Aeronautical University located at Daytona Beach Florida. Ralph Blanchard is an accredited Airport Executive as appointed by the American Association of Airport Executives.